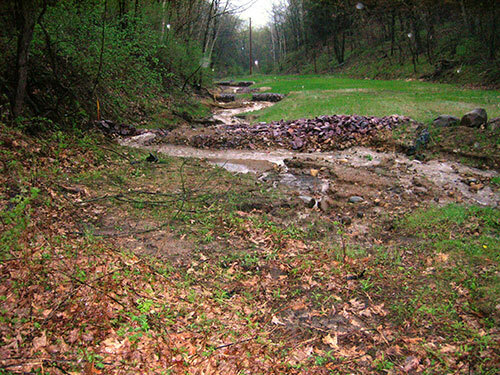 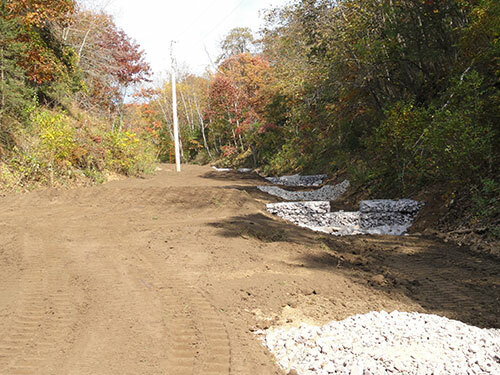 Designing and constructing stormwater control structures to withstand mother nature’s fury can be difficult, especially along a 650-foot long, 15% grade slope. 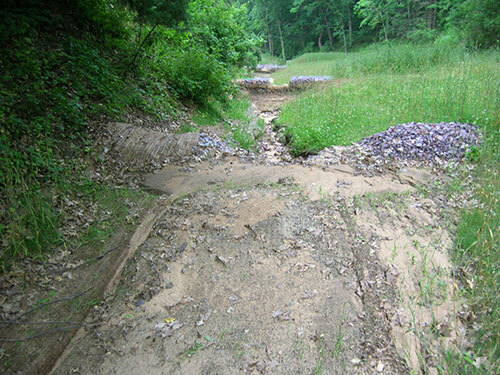 A section of Wildwood Way, in the Town of Dekorra, had long been abandoned because of erosion problems. 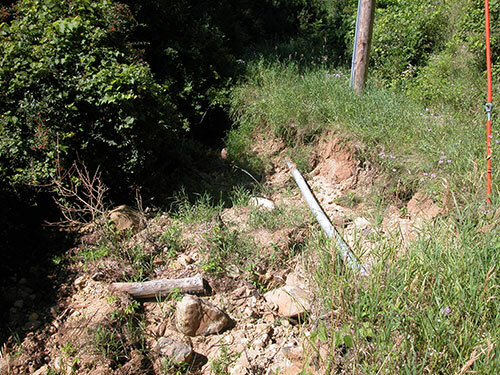 Gullies were massive, even exposing large buried power lines. 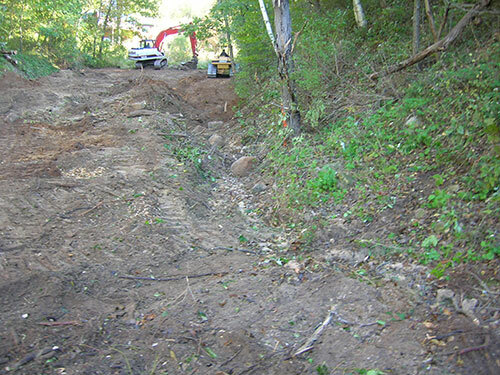 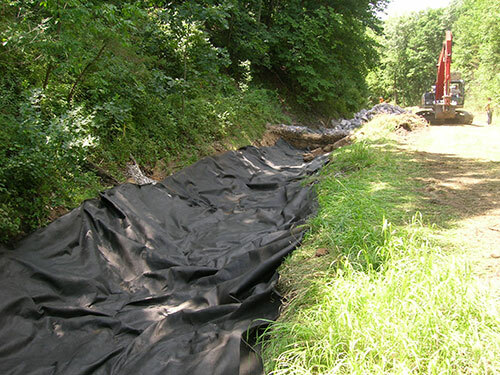 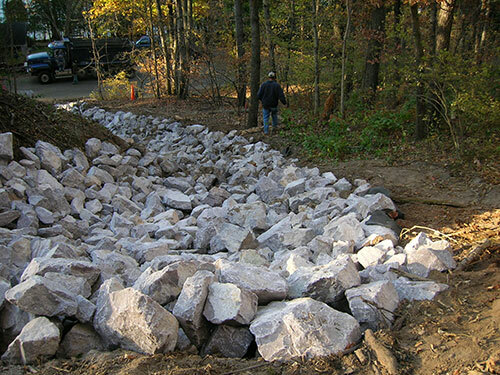 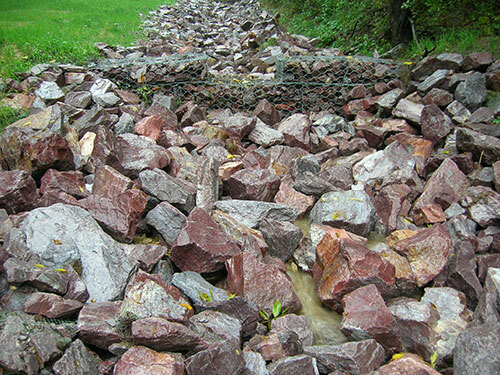 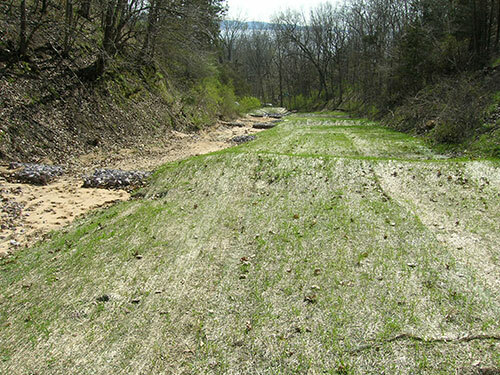 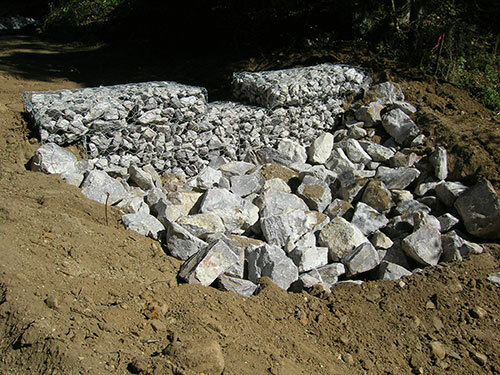 The initial plan of gabion dams, rock check dams and erosion matting, could not hold up against runoff from the uphill watershed. 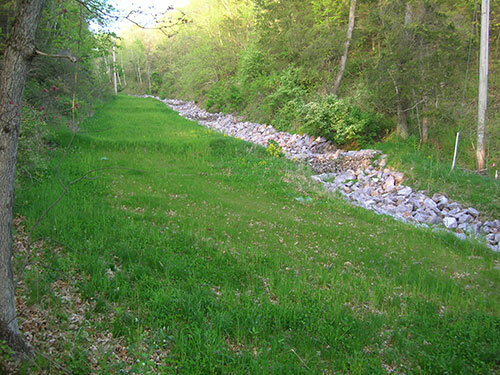 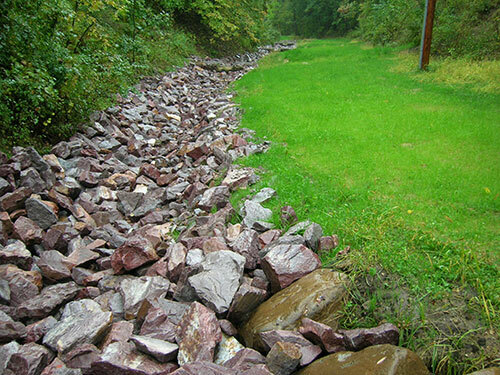 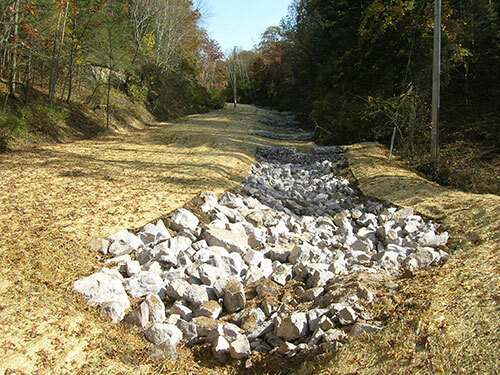 In 2011, a fabric-lined, class 4 rip-rapped channel supplemented the gabions from top to bottom.